Canada Leases & Rentals. Easy Download. Preview Before you Buy. 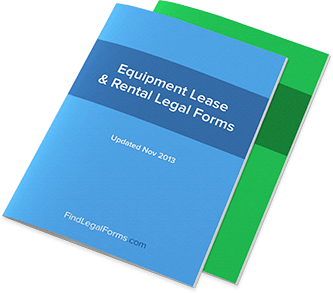 Equipment Leases & Rental forms specifically designed for use in various situations when leasing out personal property or equipment. Boat Rental Agreement & Release (Canada) This Boat Rental Agreement and Release is designed for use in Canada. This form is available for immediate download. Equipment Lease (Canada) Equipment lease between lessor and lessee. Includes option to purchase at end of term. Equipment Lease Amendment Agreement (Canada) This Equipment Lease Amendment Agreement is designed for use in Canada. This form is available for immediate download. Equipment Lease Extension Agreement (Canada) This Equipment Lease Extension Agreement is designed for use in Canada. This form is available for immediate download. Horse Rental Agreement (Canada) This Horse Rental Agreement is designed for use in Canada. This legal form is available for immediate download. Personal Watercraft Rental Agreement & Release (Canada) This Personal Watercraft Rental Agreement and Release is designed for use in Canada. This form is available for immediate download. Equipment Lease Termination Agreement (Canada) This Equipment Lease Termination Agreement is designed for use in Canada. This form is available for immediate download. Office Equipment Lease Agreement (Canada) This Office Equipment Lease Agreement is designed for use in Canada. This form is available for immediate download. Bicycle / Scooter Rental Agreement & Release (Canada) This Bicycle/Scooter Rental Agreement and Release is designed for use in Canada. This form is available for immediate download. Costume Rental Agreement (Canada) This Costume Rental Agreement is designed for use in Canada. This form is available for immediate download. Off-Street Vehicle Rental Agreement (Canada) This Off-Street Vehicle Rental with Release and Waiver of Rights form is designed for use in Canada. This legal form is available for immediate download. Skate Rental Agreement & Release (Canada) This Skate Rental Agreement and Release is designed for use in Canada. This legal form is available for immediate download. Lease Termination Agreement (Canada) This Lease Termination Agreement is designed for use in Canada. This legal form is available for immediate download. Furniture Lease Agreement (Canada) This Furniture Lease Agreement is designed for use in Canada. This form is ready for immediate download.